Durlston is a superb place to discover these mysterious and beautiful 'creatures of the night'. The list of species is growing all the time – to date, over 458 species of 'macro-moths' and more than 200 'micro-moths' have been recorded on the Park. Limestone downland, afforded warmth and shelter by scrub, woodland and dry-stone walls is flanked by rocky shores and partly wooded cliffs which provide rich habitats for many important coastal species, including many of regional and national importance. The patchwork mosaics of downland and meadows support some of Britain’s largest colonies of the Beautiful Gothic, which is found in just 15 Kilometre squares in the whole of Great Britain. Other important downland species include Grass Eggar, Yellow Belle, Feathered Ranunculus and Lappet. The rocky cliffs are home to such nationally important species as Crescent Dart, Square Spot Dart, Kent Black Arches and Annulet. Recent climate change has enabled several new species to colonise since 1990 such as Jersey Tiger, White Point, Channel Islands Pug and Oak Rustic – the latter two species being dependent upon Tamarisk and Holm Oak respectively. Durlston Head is the first point of landfall for many long distance migrants from the South. 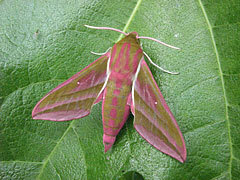 Vast numbers of North African and Mediterranean species have been recorded over the years, some of the more notable including: Oleander Hawkmoth, Silver Striped Hawkmoth, Lunar Double Stripe, Radfords Flame Shoulder, Crimson Speckled, Eastern Bordered Straw, Tunbridge Wells Gem, Scar Bank Gem and the Jubilee Fanfoot. In 2005, a Bollworm moth - Earias vittella was recorded at Durlston – the first time this species has been recorded in Europe! In July and August, the spectacular red and black 6-Spot Burnet (a day-flying moth can be seen in huge numbers on the meadows and downland. Other day-flyers include Mother Shipton, Silver Y, Burnet Companion and Magpie Moths. To learn more about these varied and fascinating creatures, see our Events pages to join one of the regular 'Meet a Moth' sessions. Moth trappers from all over Britain visit Durlston to run light traps. Their records are essential to help us understand the importance of the Park for moths. Get permission from the Rangers first – we are happy to advise you on the most productive locations and provide information on latest sightings. Send us a list of species you have recorded – these records help us manage the Park in the most effective way. 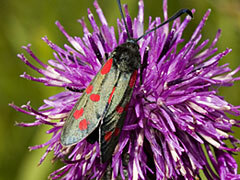 In 2006 the Rangers commissioned a survey of moths in the Country Park, with funding provided by Friends of Durlston. Light traps have been regularly set around the Centre, Car Parks and Globe for well over 20 years and we asked the surveyor to concentrate on the Meadows and Downland which were relatively unknown. Survey techniques included light traps and sweep-netting. 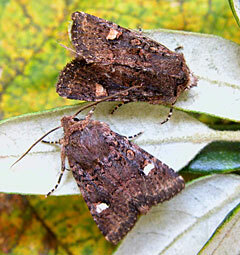 We asked for the identification of those moths which were deemed to be of local or national significance, including any Biodiversity Action Plan (BAP) Priority species and Species of Conservation Concern (SCC), to indicate their specific habitat requirements, and to estimate their distribution and population. 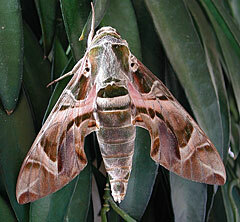 This report has provided valuable data on Moth species and possible future habitat management. Download the Durlston Moth Survey 2006 report here.